They literally punish you with the whole “Probably the best app in the world” tag line on the screen every time you go back to the old well and try to enjoy ya some Chive. Nobody will argue that the content and the people are anything but awesome. But the complete failure to even muster a half hearted effort at providing an app that even works at a mediocre level is astonishing. You can google it yourself and see nothing but an avalanche of complaints and comments from almost every person on the planet who has used the app and it’s an utter dumpster fire. It never works. Can’t open images or gifs. Crashes almost every time. It literally is almost self-defeating to even try to open it. You just want some DAR or memes or some crap and somehow you find yourself angry, disappointed, and borderline enraged by the time you’ve reloaded the app 4 times to try to see the freakin pics on a juicy thread or post. Save yourself the agony and just bookmark the Safari link to the Chive online. Trust me you’ll be thankful. Or if you are the kind of person that loves standing in line to find out they sold the last item to the person in front of you, or arriving at your favorite restaurant to find out they are closed that day, or opening up your one present on Christmas morning to find it is an empty box and a cruel joke.....well, then download the app and you’ll be repeatedly abused. 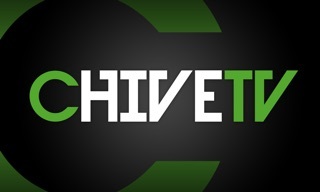 Please don’t get me wrong, because I love the Chive, the content they provide, what they stand for, and for all they do in providing to people and communities in need. However, the app itself does not work the best for me. It’s constantly being bogged down or freezes completely to the point where I often need to restart it, or just can’t use it period. Also, “pop-up ads” constantly cause the App Store to open on my phone, which I can not get to stop myself but rather have to let it run its course and hopefully be able to run the Chive app hours later. I’m not sure if it’s an issue with my phone (iPhone 6) or the ads they allow to run in their app. But, seeing as how I have other apps that do not have this issue I don’t think it’s my phone. For the reasons above though, I’ve decided to delete the app from my phone and plan on just viewing their web page on my down time. It’s too frustrating to be in an app where ads work phenomenally, but you can barely view the actual content the app was intended for. I mean this as constructive criticism because, as I said, I love the Chive. I hope that this review gets to them and they consider it wholeheartedly because I’m going to miss it on my phone. But, I’ll be enjoying their posts on Instagram and on their website from here on out. The Chive has always meant much more to me than just an app full of funny galleries. It’s a community with a cause. I’ve bought Chive merchandise, supported Chive Charities, and have been proud to call myself a Chiver. I get it, nothing is free. I know at the end of the day it’s a business, and businesses have to be profitable, but this app has recently become a minefield of ads. Noisy video ads that pop up without warning, bottom banner ads that slide up to fill half the screen, etc etc. The ads have crossed the line from being a perfectly acceptable consequence of enjoying free content to being a truly annoying experience. All of this conveniently getting progressively more annoying upon the introduction of a $4.99 a month subscription for “ad-free”. I’m deleting this app for now. Guys, please take a closer look at this direction you are taking. When you ask, we Chivers deliver. When someone is in need, we blow the roof off fundraising. If you’re hard up for cash, please consider treating us with some respect and laying it out straight, instead of hitting us with some Clockwork Orange crap. I bet a majority of the true Chivers would make it rain on a fundraiser to keep you all doing what you do. This overly aggressive ad strategy makes me feel like a commodity and not a member of the community.